The Acquisition, Technology and Logistics Agency (ATLA) announced in December that the development completion date of the Improved Wheeled Armoured Personnel Carrier (WAPC) for the Japan Ground Self-Defense Force (JGSDF) would be delayed from FY2018 to FY2021, or later, because the prototype has serious problems. ATLA said the ballistic performance of armour plates was not constant and their thickness was insufficient. Prime contractor Komatsu will have to solve these problems, but in the meantime ATLA is simultaneously researching alternatives for production. Thus, ATLA announced on 15 January that it was accepting applications from companies able to provide information to produce an Improved WAPC. The request targeted companies experienced in developing and producing wheeled armoured vehicles, with demonstrated knowledge and technology, or those licenced to import/sell armoured vehicles in Japan. Based on this, it is therefore thought that ATLA is considering the importation of wheeled armoured vehicles. 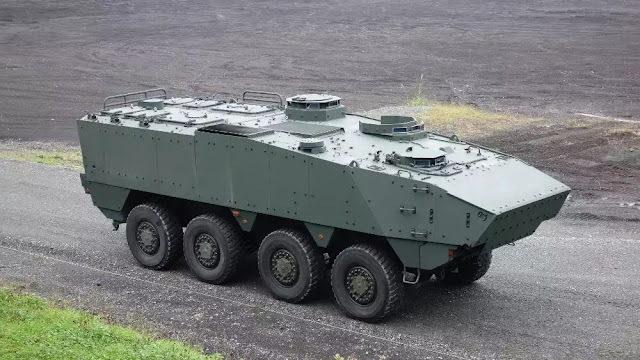 So the Japanese might IMPORT wheeled APCs? If you read the article they give reasons why this agency wasn't pleased with the product offered but for the life of me I can't imagine any imported vehicle that fits the bill. The Japanese might be asking for a wonder vehicle OR they're gonna have to backoff some of the specifications they're asking for (like mine resistance).